The mighty Mason jar is heralded for its rustic charm and has been the most-requested for the past few years, especially for casual outdoor nuptials. 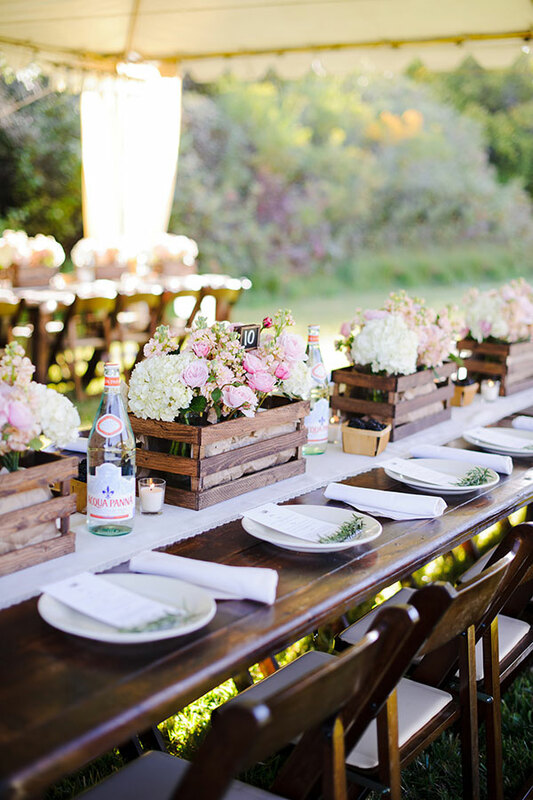 However, while Mason jars are still adorable for serving that peach iced tea or signature cocktail, couples are going a different route with their centerpieces. Glass-cut pitchers, antique milk bottles, upcycled wine crates and simple porcelain vases are just a few of the many creative variations. Try birch vases mix things up by renting colored glass or vintage mismatched sets.